it is sailing and I am on the biggest yacht in the world. no – it wasn’t me performing (just for a change). It was all in good fun. pointed out that we were cruising at 11 knots all day just under sail power. now entails except it is more than one window and what a view! casual dress – not a suit or a tie in sight. Sheer delight. 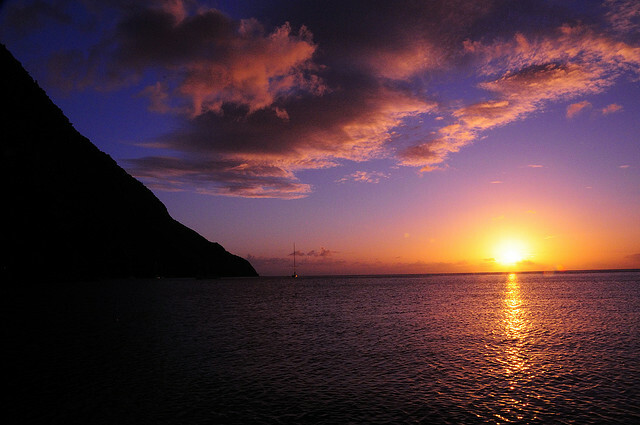 This entry was posted in Cruising, The Caribbean and tagged sunset. Bookmark the permalink.